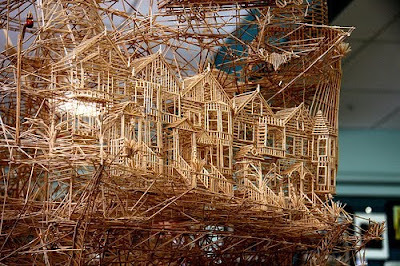 Scott Weaver spent nearly 3,000 hours and over 34 years to build the toothpick model and installation of "Rolling Through the Bay." 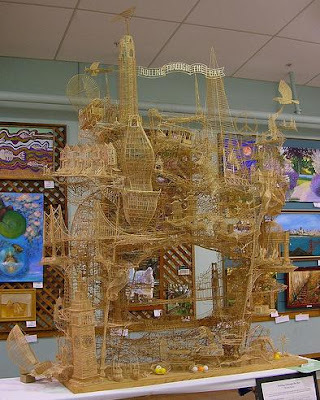 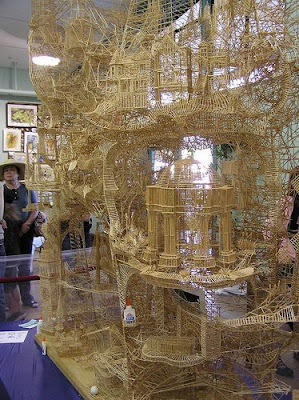 This building a 9-foot tall model of San Francisco was built in the living room of his Rohnert Park home using over 100,000 toothpicks. 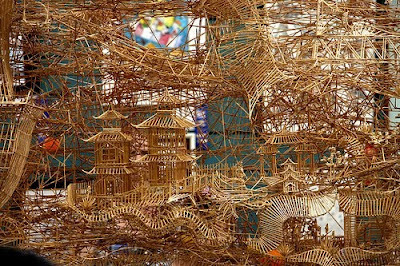 The ping-pong balls can be launched at several entry points and they rolls through the toothpick sculpture, touring famous San Francisco locations. 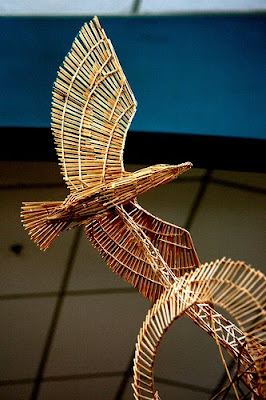 The sculpture's first public appearance was at the 2008 Sonoma County Fair where it received the award for Best Of Show. 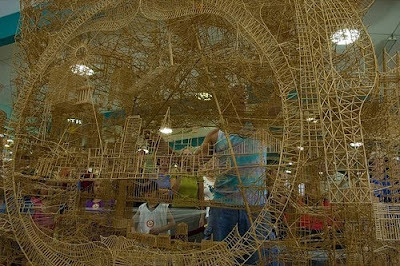 It also became one of the most popular and talked about features of the entire fair.